Beyond digital: what's next for businesses in 2020? Embedding digital in every aspect of your business in no longer a nice to have; it is obligatory. 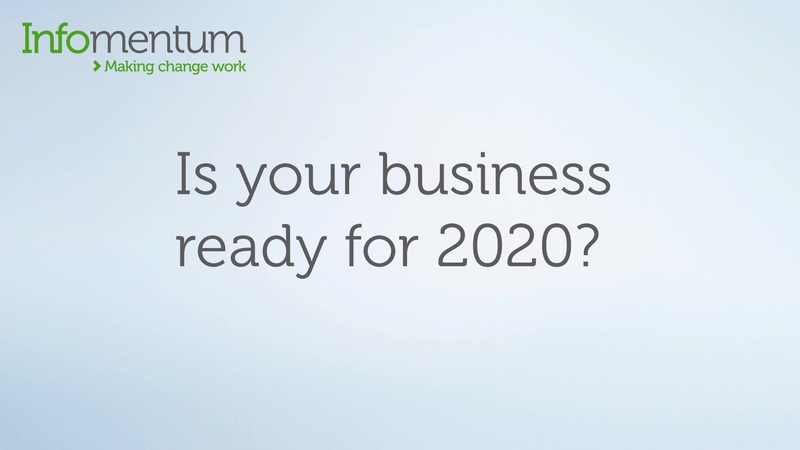 What is next for businesses as we approach the 2020 milestone? 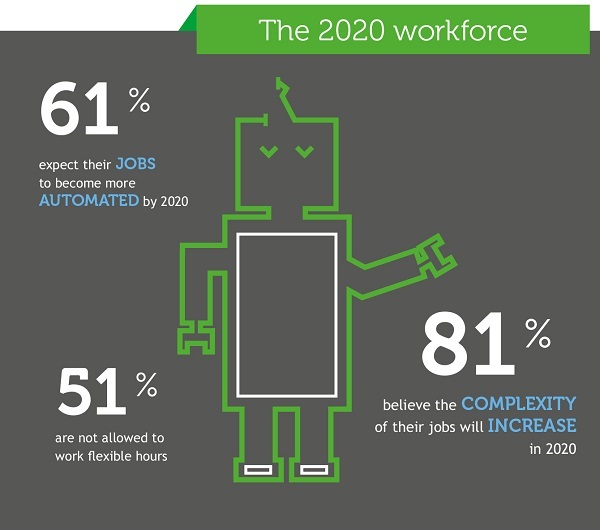 91% of UK employees believe that their businesses will no long be competitive by 2020 as a result of new technology. What technology will we see in the office of 2020? The digital age is already upon us, but it is far from settled. Just as the corporate, marketing and IT landscapes have evolved so drastically, the next years will see no slowdown in the pace of constant technological change. Businesses need to be prepared for whatever the future will throw at them; the only problem is - nobody’s quite sure what that future will look like. Our report Generating Success with Generation C enabled businesses to better understand the expectations of the connected customer and how those expectations are spilling over into the modern workplace. Technology has become inescapable, and with its continuously improving user experience, our consumer expectations are also increasing. 77% of our respondents stated that if they struggle to access a site they will immediately leave. 89% will discuss their negative experiences on social media. Good customer service can help address this issue, but 55% of respondents state that they will not bother asking customer services for help. Brands have to get their web experiences right the first time – or risk losing customers to the competition. Many of us have seen an influx of innovative new communication technologies over the last five years, redefining the way we work. In 2019 to be at work, is not necessarily to be in work. Despite these technologies, the research found many businesses do not have the tools necessary to let employees work in the ways that best suits them. 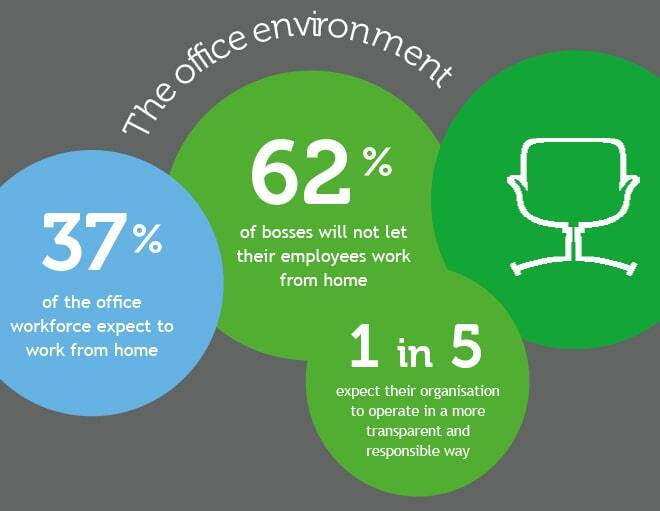 Given the variety of flexible working technologies available, and that 41% of employees demand the right to work from home, these figures show a worrying disconnect between current management and the expectations of the Gen C workforce. Generation C are demanding it. The technology is out there. So why aren’t businesses embracing it? To learn more about the impact Generation C can have on your business, please download our full report. As digital becomes less disruptive, businesses must start to look beyond the obvious. They must ask where we go from here. Where do we go, beyond digital?